Hola, amigos! I've been hard at work churning these projects of mine out, and the timber boards were right at the top of the list. I was getting really bored of the same old marble print for every post, and I'm sure you guys would agree with me on that. Marble is gorgeous and timeless, but you can't have too much of a good thing lest you get sick of it. Hey, Murphy made the law, not me! I tried sample sheets of wallpaper that I bought from eBay, but I really disliked them - they were cheap, lacked depth, and looked quite unrealistic. I wanted the real thing but never got around to making them until now. 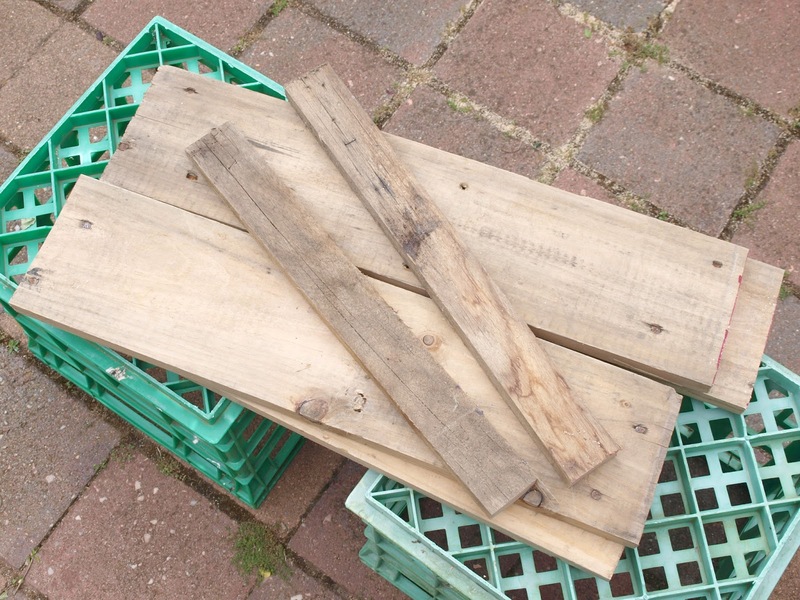 My friend David and I found a bunch of planks tied together with a rubber strap, most likely used to go on top of a palette, in front of a house that was being built. When something is thrown out the front of a property, piled together with other rubbish, you know they'll just go to waste otherwise. From our inspection we figured I could make three, maybe four boards out of them, and have them painted on both sides for more variety. 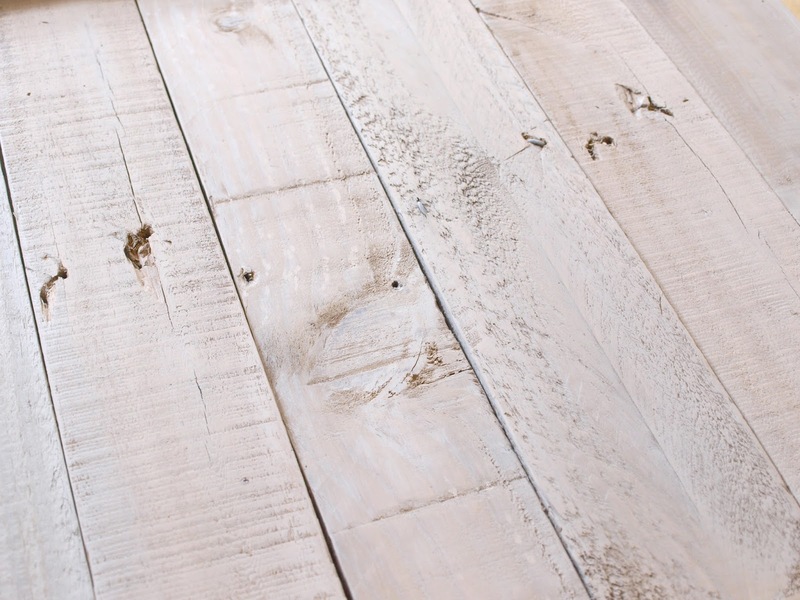 I ended up making three boards, as one of the planks that I was planning on using were mostly split down the middle, and as much as I loved the grain and distressed look of it, it would be useless in the project. I kept it aside just in case I found another use for it, though. I also managed to salvage some thinner pieces of timber, about two inches wide, less than an inch deep, from my mum's house. I used those to nail to the sides of the boards to keep them together. My wood were of varying thicknesses, so I experienced a bit of an issue when it came to drilling them to the side pieces and keeping them flush. I ended up going another way, which I'll talk about later. You can use wood that you've salvaged, like I did, or you can buy fresh new pieces of pine for this project. I didn't want to spend any money, so I went with stuff that I could find. The timber I found were 46 inches long, so I just cut them all in half crosswise. 1. Measure your wood and then cut the piece with the tool of choice. I borrowed Mum's jigsaw, but she ended up cutting them for me instead because my fingers are too buttery to guarantee that I won't end up with a severed appendage. 2. Sand them down so that they're smooth. One of my boards were super splintery, so I spent a decent bit of time sanding it. 3. 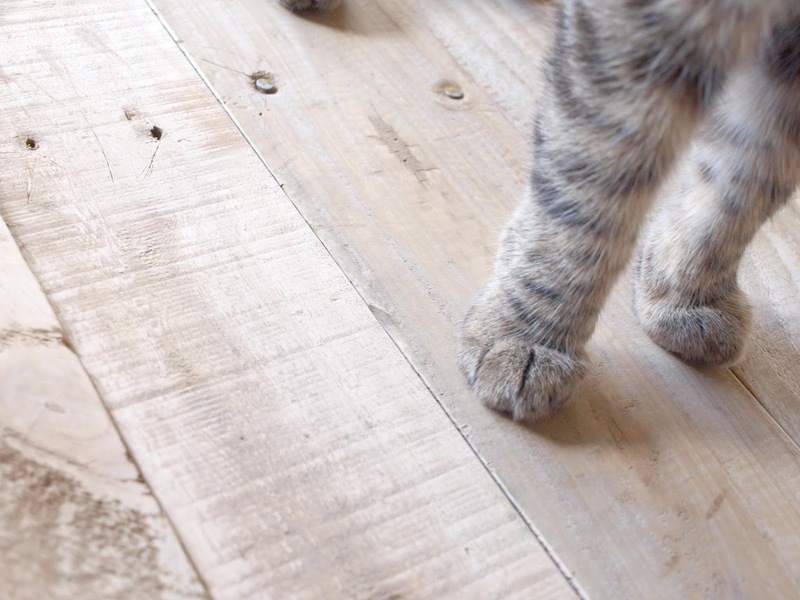 There are two ways to go about this step, depending on the consistency of wood thickness. I was experiencing issues where, because my boards were uneven, there were gaps between the plank and the adjacent piece, so they weren't flush. 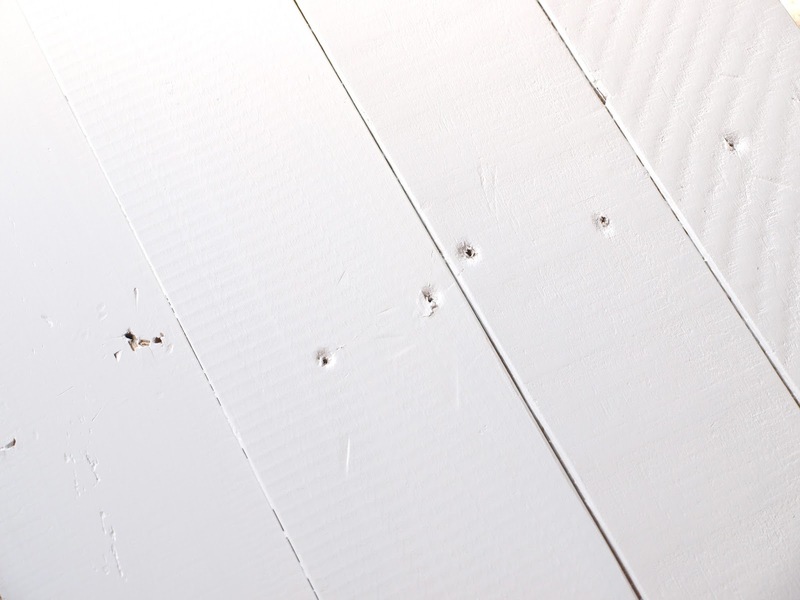 If in the case you have uneven thicknesses, drill a hole into each end of your planks. Apply glue to one side piece, line the planks on top of the glue, using the other side piece to hold up the other end of the planks. Drill the planks to the piece, and then repeat as for the other end of the planks. If you have wood that are all of the same thickness, you can simply line them up flat, drill holes into the side pieces, apply glue and then drill them into the ends of the planks, like the picture below, on the right. White paint. 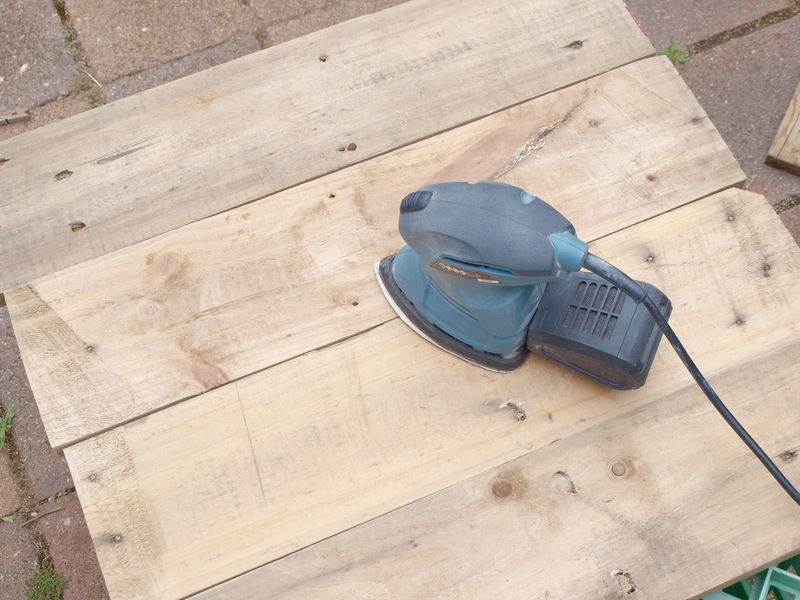 To distress, use a sandpaper to expose some of the underlying wood. Whitewash: I loved this method for the wood with the attractive grains and knots. 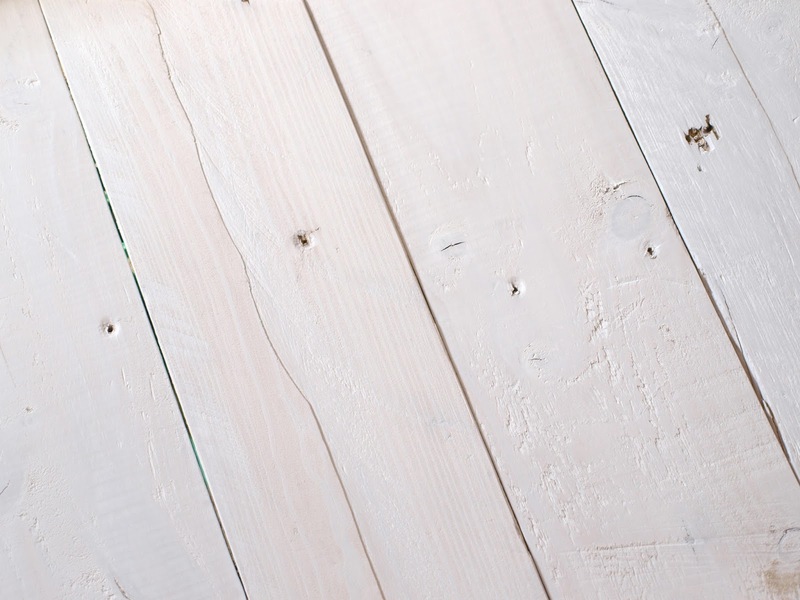 Simply mix white paint with water, and with a minimal amount of the DIY stain, just brush it onto the wood. Use a rag if it's too wet. You just need one coat for this. 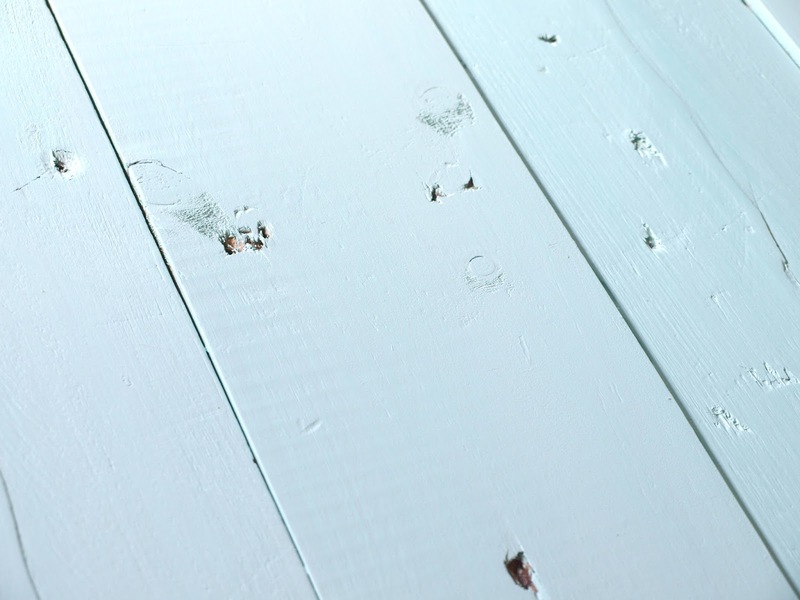 White stain: Mix water with white paint as for the whitewash, only that you apply three to four coats of the stain, instead of just one. 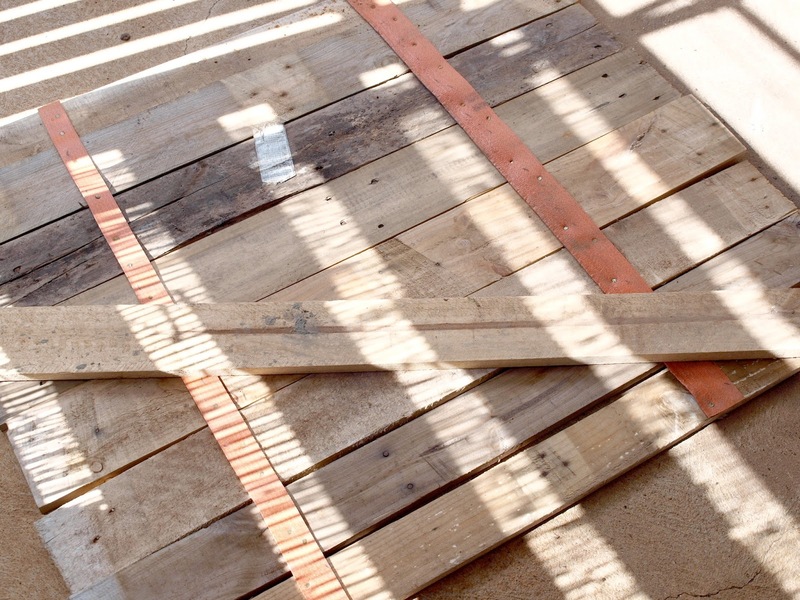 You can do this with brown paint instead to deepen the colour of your wood. DIY wood stain: Combine about 1/2 cup of rusty old nails or steel wool with a cup of white vinegar in a jar, and leave aside for a few days. Shake every day to distribute contents. The nails produce a pinkish-brown stain. I've yet to try the steel wool. 5. Leave to dry for several hours between coats, overnight to dry completely. My favourite board has to be the white washed one, at the bottom, it just looks so natural yet looks really beautiful. I love it so much! This project cost me nothing except about $4 for the screws, as the ones I had were too short. I already had the paint and the other material, and I borrowed the electric sander, brushes, and set square from mum. I kept two sides untouched because I'm still deciding on how I want to finish them. I think I might keep the underside of the whitewashed board as is because it has a really nice distressed barn-wood look to it. As for the other one, either I stain it with the DIY stain, or I make another stain with some brown paint instead. I need to give the minty side another coat because I mixed the colour for this project and when I did my final touch up with the leftovers from the bottom of the tray, it ended up making it uneven in colour. Also, it's more aqua than mint, so I want to fix that. So, there it is! A super easy tutorial on how to make your own photography boards, out of recycled wood or out of new wood, it's up to you. I already feel the need to make a few more, just so I could have much more variety! Sean made a comment yesterday about how, not too far into the future, he'll find a graveyard in the garage full of abandoned backdrops, fabrics and props. Trés Drôle! That's enough work for me today. I'm about to nod off and enter the world of dreams. 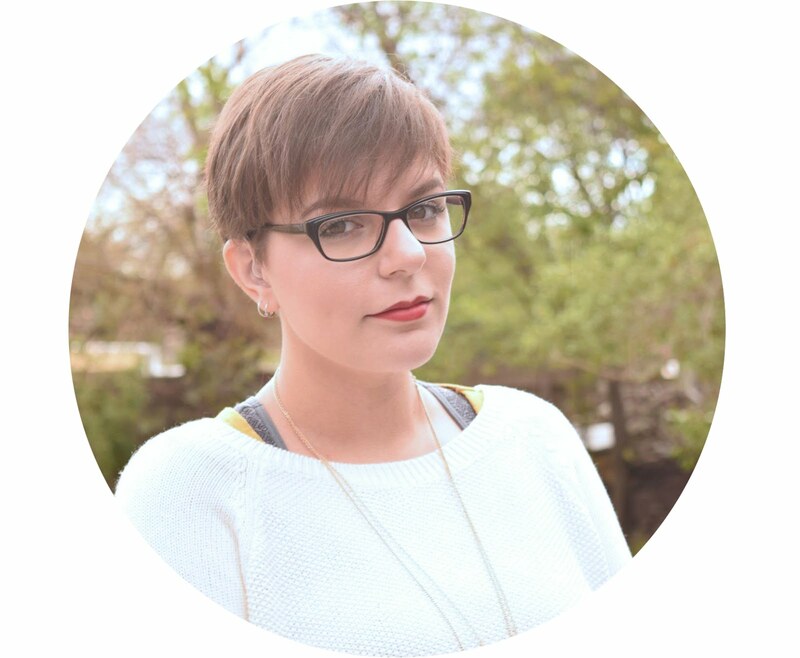 Do you have any backdrops that you like using? Let me know! They are definitely easy! It took me a couple of days to get these done :) I can't wait to see what photos I take with them, I've done a few on the whitewashed one and I keep marveling at how attractive it is.